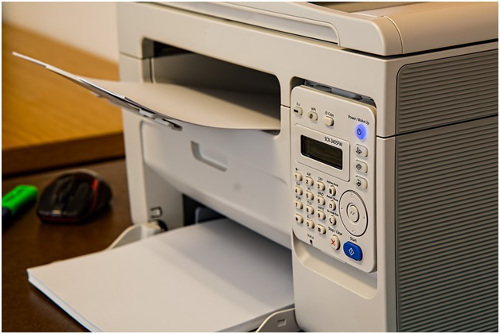 The Printer Not Working issue may arise due to poor network/USB connections, weak or inactive internet connection, or outdated printer driver and firmware. Reset the print environment and update the printer’s firmware to resolve the “Why is my wireless printer not working” issue. Turn off the printer and wait for ten to fifteen seconds. Unplug the printer’s power cord from the printer. Power off the computer or laptop that you use to print. Re-plug the power cord to the printer and then turn it on. Restart the router to which your printer and computer are connected to. Switch on the computer and connect it to the router. Connect your printer to the same wireless router. Check if the issue is resolved, else proceed further. Make sure to connect your printer and computer to the same wireless network. Print a Network Test report from the printer’s control panel and check the following on the report. Under the Diagnostics Results Connectivity area, ensure that the Connected is marked as PASS. If the Connection status is inactive, restart the print environment and reconnect the printer and the computer. Check for messages on top of the report that might assist you to resolve the problem. Verify whether the Network Name (SSID) on the report matches with your network name. If any security software is installed or updated on your computer, it may block the system from communicating with other devices. Perform a hard reset on your HP printer and restore the print settings to default version and check if the issue resolves. Make use of the HP Print and Scan Doctor tool to rectify the error “Why is my wireless printer not working“. Get the HP Print and Scan Doctor utility tool on your Windows computer. Open the Downloads folder and select the setup file named HPPSdr.exe. Right-click on it and pick the Run option from the drop-down menu. Continue with prompts on the screen to complete the software installation. Launch the tool and click Start on the Welcome screen. Choose your HP printer model from the list displayed. If your printer model fails to display, click Retry until it displays. Proceed with the on-screen guidelines to resolve the wireless network connection problems. Scroll down to the end of the page and click the Fix Printing option. Review the list of actionable results and proceed with the flow. After that, if the software prompts to enable the printer updates, click Yes and continue with prompts on the screen. Click OK if a pop-up prompts to set your printer as the default one. If the error “Why is my wireless printer not working” resolves, start to print, else proceed further.